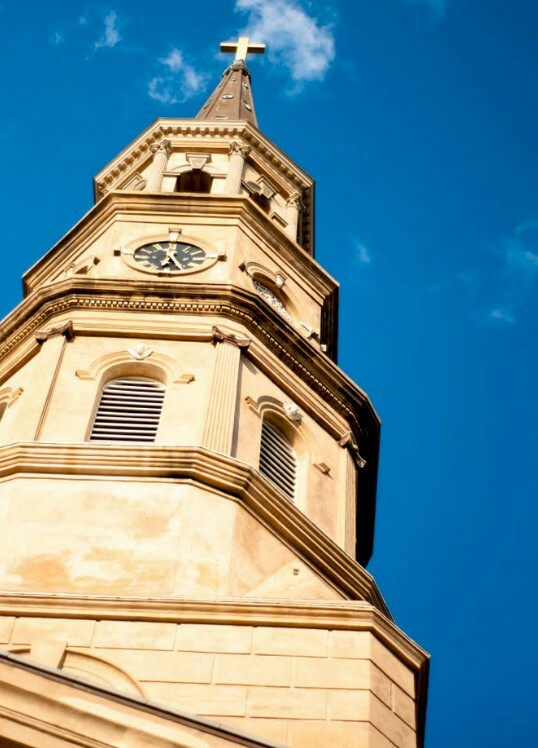 Charleston earned the nickname, “The Holy City” because of its numerous church steeples that can be easily seen across the city’s low-profile landscape. One of the most recognized steeples located in the middle of downtown is St. Philip’s Church at 142 Church Street. Built in 1680, it is the oldest religious congregation in South Carolina, and it’s still an active congregation today. In June, 1888, Gaston Hardy and his pregnant wife, Sue Howard were parishioners at St. Philip’s Church. Tragically, on June 10, their child was stillborn. Then, six days later, Sue Howard also died. It’s unclear what caused her death, but many speculate that it was from complications from childbirth. Regardless, that’s not the real story here. The real story is what happened 99 years later. The photo has been scrutinized over and over. Reynolds personally sent the photo and the negatives to Kodak. 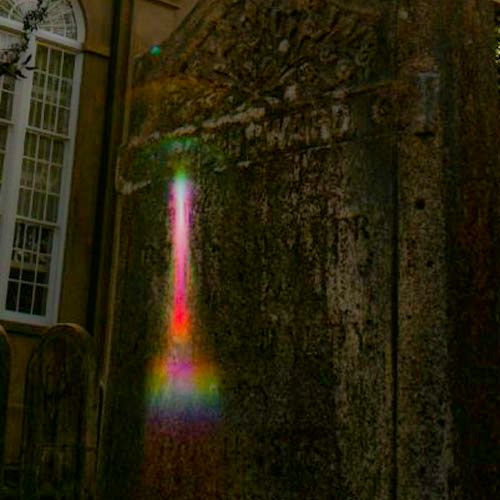 Kodak examined and tested the photo, but could find nothing to explain or disprove what is seen: a shawled figure that appears to be bent over the infant’s grave. Check out this short video. 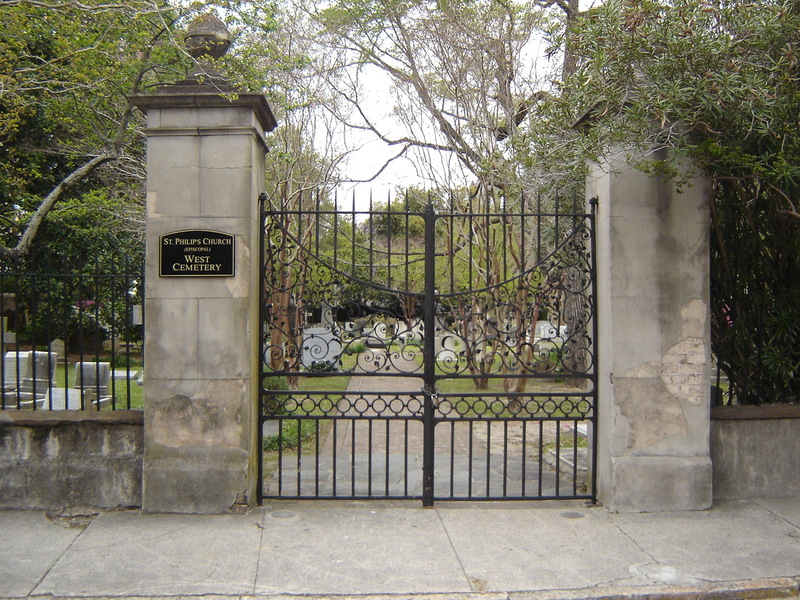 Almost every ghost tour in Charleston stops outside the gates of the cemetery to tell the story of Sue Howard Hardy. Typically, they offer a copy of the photograph to tour-goers, to be passed around and examined. But they do offer one disclaimer. There have been numerous reports of pregnant women having problems after handling the photograph. Some have felt as though they were choking, others felt sick to their stomachs. True? Who knows? You’ll have to visit and decide for yourself. One thing is for sure, though. 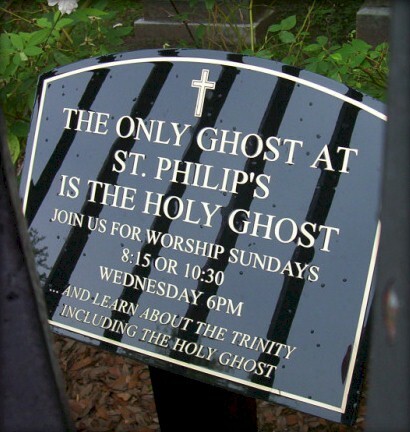 The folks at St. Philip’s Church aren’t buying it. They’ve posted this sign right out front. 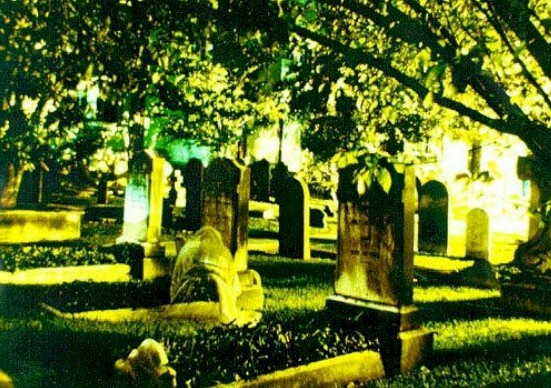 Most ghost tour companies in Charleston can tell you the story of Sue Howard Hardy, and even produce a copy of the famous photograph. ~ by scareschs on March 13, 2012. I believe in ghosts. I believe that they are restless spirits that have yet to cross over to what is the other side; and until then their images will continue to manifest in one way shape; form; or fashion. While visiting Charleston a couple of years ago, it was dark when my family and I was returning home. As I walked down the street towards our parked vehicle (we had parked at the battery) I was randomly snapping pictures etc. Later on – maybe a day or two afterwards – I was looking at my pictures; and in one picture there appears to be the image of an older gentleman. His face and eyes are well defined ( though the picture is of poor quality) having been taken at night and via cell phone. The torso of what appears to be a man is not well defined; but it is there. The man looks; or appears to be not of this era. He looks older; and is dressed in clothing that is older than this current era. It is a site to see. It is an image that will certainly make one wonder. I’ve had this picture for approx ~ 3 years. I can’t help to wonder if I should get this picture examined; and if so – how would I go about getting my picture examined?